Host your milestone celebration at Napa Vineyard Inn. Buyouts are needed for private use of the hotel's common areas and two-night stay minimums are required for most dates. 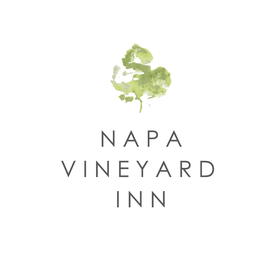 Napa Vineyard Inn offers one and two bedroom accommodations. All rooms offer fireplaces, Nespresso coffee makers, luxury linens, robes and slippers, soaking tubs, and L'Occitane bath amenities. Deluxe and Premiere rooms offer private terraces. Our barn lounge, located adjacent to the spacious courtyard, offers approximately 700 sq. ft. of event space. Picturesque vineyards surround the property on both sides providing a private and serene backdrop for your special event.